ED821651 Features: -Rock and ride rocking horse. 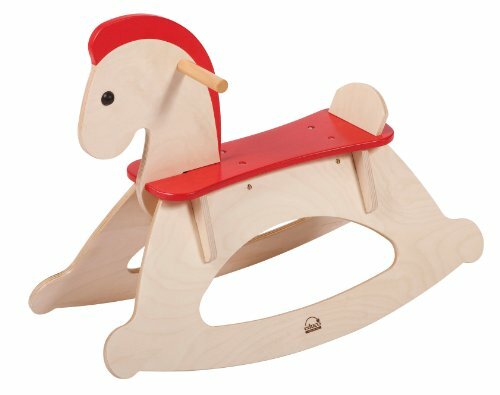 -Classic rocking horse is easy-going. -Can gently rock a youngster at a steady pace or handle long galloping rides as a child grows without tipping over. Gender: -Boy/Girl. Product Type: -Animals. Dimensions: Overall Height - Top to Bottom: -26.8". Overall Length - Front to Back: -20.7". Overall Width - Side to Side: -11". If you have any questions about this product by Educo, contact us by completing and submitting the form below. If you are looking for a specif part number, please include it with your message.